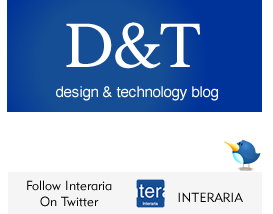 Interaria develops custom software applications for web and mobile. We specialize in custom PHP/MySQL application development for web and mobile. Brand is more than just a visual design. Brand is a narrative, a story, a message, an invitation. We position brands and create identity messaging for cross-platform communication on the web and mobile. It is important that brand messaging is consistent in all communication points, and that the brand design elements foster optimal usability. A general purpose programming language for professional applications. When C++ is needed, our development team is ready. Interaria believes in agile project development, ability to comprehend complex business models and organize them in a make-sense manner, willingness to embrace the organic process of new ideas and the ability to shift the direction for development when needed. We’ve been in business since 2004. Our experience let’s us today take on larger projects, approach them with calmness, and deliver results steadily with excitement of course. Midnight sun, snowy Christmas, functional approach to design. We like going to Finland. We believe in staying on the path: “Obstacles are those frightful things you see when you take your eyes off your goal”. XHTML, HTML5. Web development is our bread. We develop iOS wrappers for mobile sites or we can develop a custom iOS app according to one’s business model. One of many programming languages we know and can apply to our projects. “Anything becomes interesting if you look at it long enough”. Yes, we can combine these and make MYSQL database driven mobile web apps. “A person with a new idea is a crank until the idea succeeds”. Recent media discussions have pointed and made it obvious that large systems should be preferably developed on an open source platform where the entire community of web developers contribute to the code development and debugging. Our field of expertise: an open source web and database programming language. Scripts that talk with the database and make actions take place. We don’t settle any project until all parties involved are pleased with the results. For active sites, our development team is ready to continue developing quality deliverables according to future site update and upgrade needs. We implement rigorous technical testing and a systematic user testing to all our deliverables. Adapting the site’s layout for optimal viewing experience on mobile devices. Applying professional software engineering to mobile and web app development fosters quality control, data scalability, effective problem solving and debugging. Complex application rich websites and mobile sites require dedication and teamwork. Ultimately, our products are an outcome of close teamwork between all Interaria team members. We operate an organic teamwork approach where each team member can step in whenever needed, not just according to each member’s designated work cycle. Our designer doesn’t just hand design files to our programmers but oversees that the files will be coded according to set standards, and when needed, designs and codes will be revised until a balance has been reached between the form and function. Unique is what differentiates. Our job as designers and developers is to highlight this uniqueness and make it the obvious choice. Our mission is to deliver quality services, develop quality products that ultimately add real value to our clients. Familiar code languages from our ten years in business. We understand and respect personal preferences. “I’ve always eaten egg whites because when I was little, I didn’t like the color yellow, so my mom would trick me into eating eggs by taking out the yolk”. Creating an effect layout with call-to-action at the end of the z. Another option: the F-layout. The lack of updates in this blog throughout the 2013 confirms: we’ve been incredibly busy. While we continue designing and developing corporate database driven websites – and remaining loyal to our old clients – we’ve been shifting our focus towards web and mobile application development with emphasis on PHP/MySQL, jQuery, HTML5 and other mobile application frameworks. Most part of the year 2013, we have worked exclusively for a client in Dallas developing web and mobile applications with social networking and content publishing features. Due to the ongoing nature of the work, we cannot reference this work on our site but would be pleased to walk through some of the features should your company be interested in considering us for custom web and mobile application development work. In November 2013 we signed up a full time software engineer to our team, Pyry Kuusi, who works from Helsinki, Finland as an exclusive team member of Interaria. As many of you know, we are a family based company with James Shields in web development and project management, his Finnish wife Meri Kuusi-Shields in user experience design and brand positioning, and now Meri’s brother and James’ brother-in-law Pyry in a full time position for software & web application development. Over the years, we have realized that our clients care about one-on-one agile approach to project development which means ability to comprehend complex business models and organize them in a make-sense manner, willingness to embrace the organic process of new ideas and the ability to shift the direction for development when needed. For us, working with a small core team has meant this: ability to be flexible and less bureaucratic, all while holding a higher quality control with each deliverable. The year 2014 will mark our 10 years in business, all with the same team. We are quite excited about the web and mobile application development for multi-platform media where users have more power to customize their content and interaction experiences and choose their device for user interaction. The concept of ‘interactivity’ will carry more meanings and make us more demands as we continue our years. 3) Member websites that require registration for participation. Interaria develops on a PHP/MySQL database platform custom data driven user account systems to meet with the requirements of your website’s business model and the outline for ideal user experiences. a) Creative industry (architects, designers, builders, photographers, consultants): sharing design and project files and tracking progress online is often crucial in order to create effective customer relationships. b) Real estate agents: creating custom lists of properties by the customer’s specific needs creates efficiency and trust. c) Financial and medical industry: Any monetary or sensitive information should be password protected and highly case sensitive. A client login and account system is one type of Web application that “talks” with a database and runs on your Web server. Visually the interface and pages can be custom designed to match with your website or unique visual requirements according to each project. Online stores are often designed to give an option to create a customer account. While many online stores don’t make this mandatory the benefits are faster check out times with saved billing and address information. The accounts are also beneficial in storing previous order data and receipts and tracking packages. Typically customers have an option to create an account while checking out. Standard features are also secure password retrieval/reset process, and options to manage communication settings (such as wanting or not wanting to receive promotional emails). Dallas Web design & development company Interaria develops PHP/MySQL database driven custom Web applications. Setting up a user account system is typically one of the first steps in the process of designing entire database driven website features and user interfaces. Take control over the content growth and updates on your website! Interaria specializes in developing Content Management Systems (CMS) that increase the life span and dynamic nature of a website. Our Content Management solutions constitute of custom developed Web applications integrated to your company’s website and fully planned according to your company’s unique content update and growth needs. Our Content Management solutions are custom coded by the Interaria team in PHP/MySQL database programming language. With a dynamic Content Management solution in place, our clients are not looking at a static website but are able to manage and increase the content on their site without any ties to us or our website and without any requirements for HTML coding skills. Content Management System is a database integrated custom Web application that a website owner can access via Admin interface and utilize for updating website’s text and image content without any special coding such as HTML development skills. Even with HTML skilled staff in hand, CMS should be considered for streamlining frequent Web Master work on sections that require frequent updates (such as News, Events, Projects) as it reduces the total work time and decreases chances for coding errors or code typos. Interaria always custom designs and codes CMS so that your site’s future content growth takes place according to the set design and Web architecture structure established during the site’s “Message & Design” phase. Interaria utilizes PHP/MySQL programming language for custom programming CMS code and systems. PHP is an open source based programming language with no ties to expensive software or server licenses for your company (such as not the case with cold fusion based code for instance). PHP is a very widely accepted and popular code language, and today many large companies (for instance Facebook) has chosen to develop their sites on a PHP platform after experiencing continuous hick-ups with other programming languages that used to be regarded as more commercial. For instance, let’s say we are to design a call-to-action icon that includes text: The aesthetic criterion would be that the call-to-action icon looks visually appealing and engaging to call in action, and is balanced and parallel to the company’s brand identity; the functional criterion would be that the web site visitor finds the information on the icon relevant and can easily read the text and click on the link(s); the technical criterion would be that the call-to-action icon can be programmed with modern Web programming language(s), and that there is a clear technical plan in place with regards to how the icon can be updated. In essence, a solid web site architecture is advocacy for all three criteria. If one of the criteria is not fully met, Interaria takes the web site element or section under the development back to the drawing board and further develops that feature until it meets the standards outlined in each criterion. Web sites designed and developed against these three criteria will be more successful in engaging customers and establishing a solid platform for marketing and informing. The larger the scale for the web development project, the more of importance it is to go through this process in detail for establishing Web media that has a long, organic online lifespan.